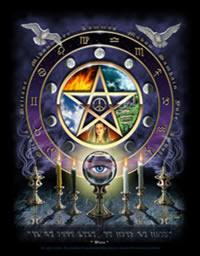 Doing Tarot Reading for one-self is quite different in comparison to doing for others. One of the major reason being you are the one who is asking the question and you only answer them :-). Also it might lead to a series of questions which I like to call as "cascading effect". Eg, You are asking should you do A or B , or how would A choice be for you than B choice.You get a Four of Cups for A and 2 of Wands for B. As soon as you see Four of Wands you get inquisitive and want to know why? What would cause that situation? Who all are trying to influence you? and there you go ( ignoring the 2OW) ...before you know you have most of the cards out and left more confused than before. Keep a notepad or writing pad with pen / pencil handy. A personal diary would be best. Write all your questions before doing Tarot. 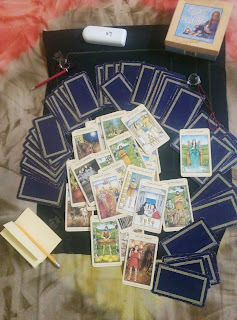 Beside the each question write the Tarot cards you picked up for that question. You may also write your understanding and interpretation but mentioning the cards is vital. You may use abbreviations for eg 2OW ( 2 of wands ) , KOS ( King of Swords ) etc. Note the date of reading, anything special about that day to remember by. Note the Tarot Deck you used too. Read the questions and answers once before closing the reading and if anything is unclear pick a card for gaining more clarity. You may also record the reading session. Following the above would avoid you to fall into the trap where you keep on taking out cards till you get the answer you want! You can always come back and read your predictions for self after some days and analyse them, then you may realise the significance of noting down the exact cards for each question. As maybe when you were doing the reading you were so emotional and missed some important signs. These are very basic but essential things to remember while doing Tarot for One-Self, else like in the picture above you would have most of the cards out and no clear answer!